Looking for the perfect gift for a loved one? Here’s a fantastic idea: frame a treasured item or memento with special significance and it’ll be sure to bring joy and delight to your loved one. Lana Milner had this in mind when she recently visited Picture This to frame a gift for her sister. The special item is a 45 rpm vinyl record ‘You’re in My Heart’ by Rod Stewart, in memory of their parents who often played this heartfelt song. 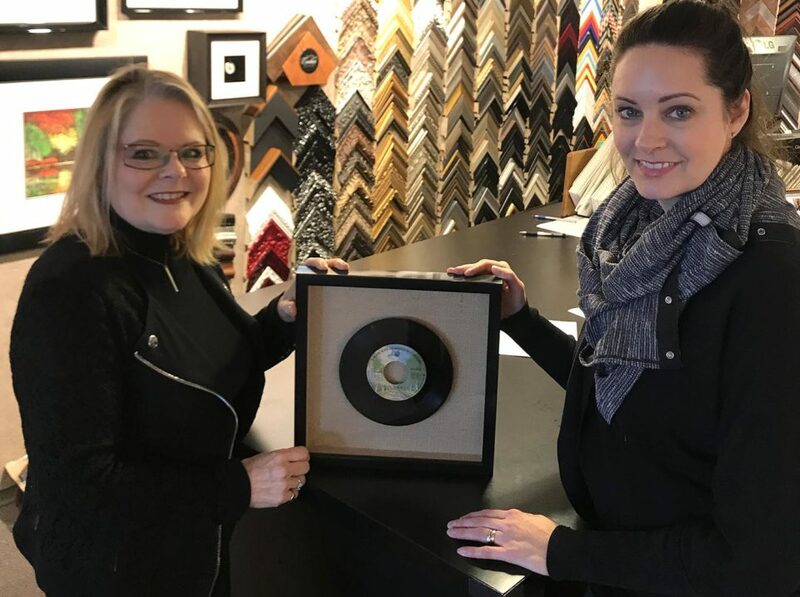 Picture framing specialist Carol LaMarche worked with Lana to select the ideal frame and mat combination to compliment this treasured item. 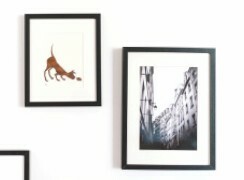 Finding the right combination is a collaborative process and they went through several options before arriving at the final design: a sandy-tan suede-fabric textured mat, and a classic black-sheen frame. The finished piece perfectly compliments the room it’ll be displayed in, and shows how a treasured memory can be transformed into a beautiful work of art. 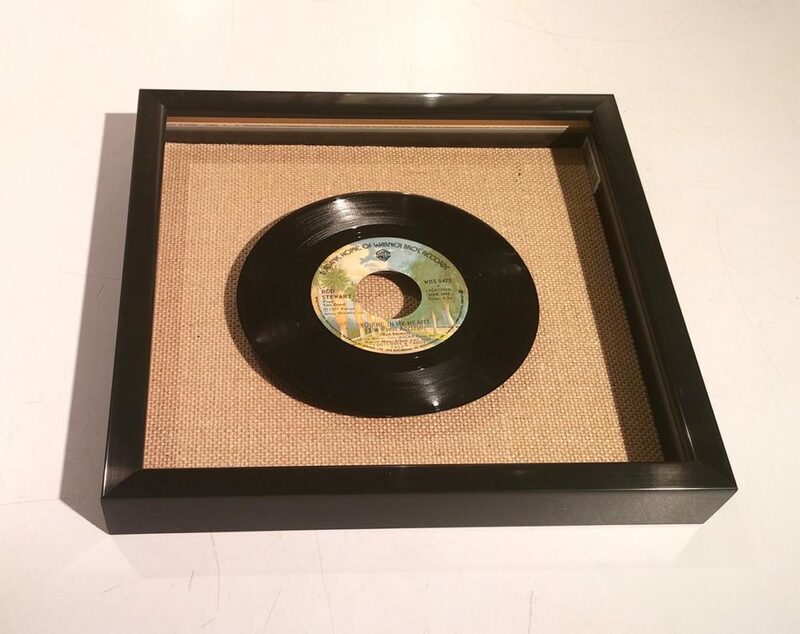 A couple of unique finishing touches were added to add depth and dimension (the record floats slightly above the mat), and to draw the eye in towards this unique memento. This makes for a truly personal gift that will be cherished for many years.